It’s the 2018 Young Authors’ Book Project Season! 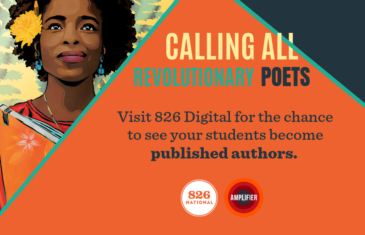 For students across the 826 Network, the end of the school year means summer vacation and the release of new publications, showcasing their hard work and creativity. 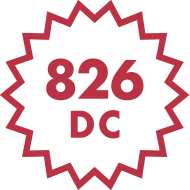 Each year, each 826 chapter partners with one public school to create a beautifully composed, impeccably designed collection of student writing. We call this intensive In-Schools project the Young Authors’ Book Project. Over the course of a semester, students research, write, and edit pieces for inclusion in a book with the support of specially trained volunteers. Many of these volunteers are professional writers and editors, who both provide support to students during the writing and editing process and mentor the young artists. Students then forms a self-selected editorial board, making creative decisions about the final publication. 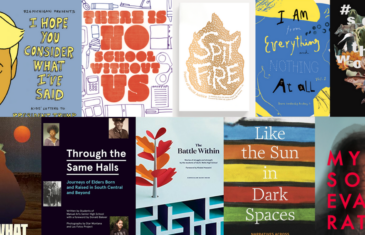 Here is a selection of the Young Authors’ Book Projects from across the network. Be sure to pick up a copy or two, in-store and online! In an increasingly polarized and hostile world, how can we articulate our concerns? 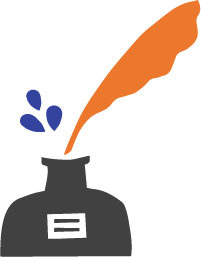 How can we use writing to express and uplift ourselves and our communities in order to enact social change? In this anthology, young poets explore themes of race, gender, fear, violence, empowerment, and family inspired by contemporary poets including Danez Smith, Elizabeth Acevedo, Jamaal May, and Patricia Smith, and poetic form such as haiku and erasure. This poetry collection sweeps across the plains of feeling and tone, exploring questions of origin, depicting corner store drama, and railing against thwarted love. To read these poems, written by tenth graders at Bronx Leadership Academy II, is to watch these young writers coming into their sense of voice and making the genre of poetry their own. Elders hold the weight of years in their memories—as witnesses to injustice and in celebrations of triumph and happiness. As a bridge to the past, elders give birth to new generations. Their journeys can inspire us to continue traditions—or to break them. In this book, students at Manual Arts High School have captured cultural, economic, and historical landscapes of the communities they call home in South Central and beyond. The exchange of history is documented through personal narrative, interviews, and photography. What are our beliefs about what is right and wrong? How do our decisions impact those around us? Are forgiveness and redemption truly possible? These are just a few of the questions explored in The Battle Within, a collection of writing from the students of Ida B. Wells High School in San Francisco. 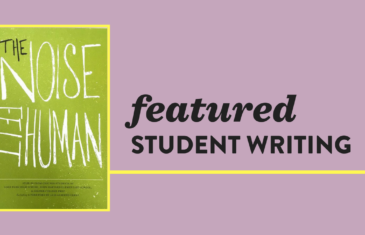 Inspired by the themes in Khaled Hosseinis The Kite Runner, these young authors crafted powerful stories, poems, and letters that get to the heart of what it means to struggle, to regret, to overcome, to love. Written by the graduating class of 2018 from the Boston International Newcomers Academy (BINcA), this collection of personal essays explores ideas of success across generations and continents. Foreword written by Poet Laureate of the City of Boston Danielle Legros Georges. In 2009, 826 National & McSweeney’s published two books of student letters to the incoming presidential family,Thanks and Have Fun Running the Country, letters to President Obama, and I Live Read Close to Where You Used to Live, letters to Michelle Obama. We are commemorating the one-year anniversary of President Trump’s inauguration and adding a third book to this series with the publication of I Hope You Consider What I’ve Said: Kids’ Letters to President Trump. Featuring letters to the president from students from various 826michigan programs in Ann Arbor, Detroit, and Ypsilanti, this collection showcases students’ thoughts, hopes, fears, advice, and more for our forty-fifth president. The writing in this book asks readers to reconsider the negative narrative that is often imposed on Chicago. The memoirs and poems in this book offer a glimpse of Chicago as it should be seen: a complicated, big, beautiful, messy, frustrating, wonderful city. From the magic of first love to the uncertainty of failure, from a neighborhood game of Hide and Seek to the top floor of the John Hancock Building, come out to hear the stories of 100 teens and let them provide you with an education in living in and representing their city. 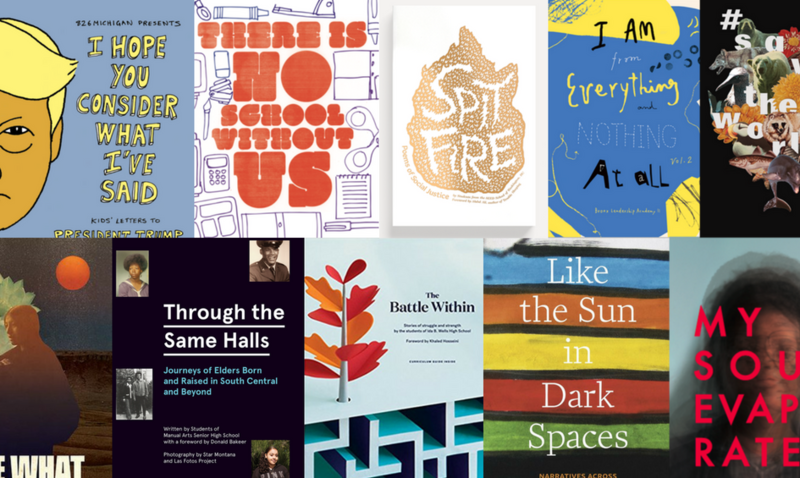 There Is No School Without Us is a literary conversation between current teachers and students from first to twelfth grade, around the current state of New Orleans Schools. Containing nearly 100 student and teacher reflections, There Is No School Without Us offers varying, unedited accounts of their experiences. This book is for anybody who works, attends, or cares about elementary and secondary schools in New Orleans.